Huge, post 2010, austerity-driven funding cuts are now threatening the entire social care structure. Champions of social care have pointed out that unless the (poorly understood) social care system is properly funded the (much worshiped) NHS will continue to struggle to meet demand. Focusing on the threat to the NHS might just prise out more funds for social care. But many of our best thinkers and practitioners are already looking (and acting) way beyond the short term solution of propping up our disjointed, dysfunctional, not fit for purpose health & social care systems. 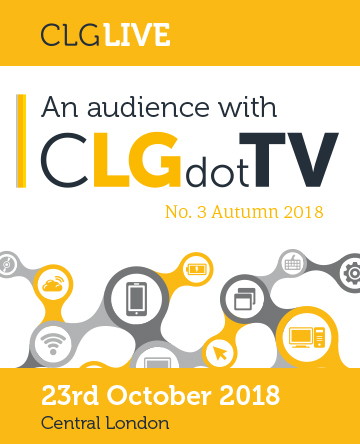 An Audience With CLGdotTV No.3 on the future of Social Care (Central London - 23rd October will bring some of these radical thinkers and leaders together to make six CLGdotTV programmes with added value from a live, lively and informed studio audience. There are a few seats left in the audience. Got a point to make? Contact Ben Webber b.webber@boilerhouse.co.uk for more information.